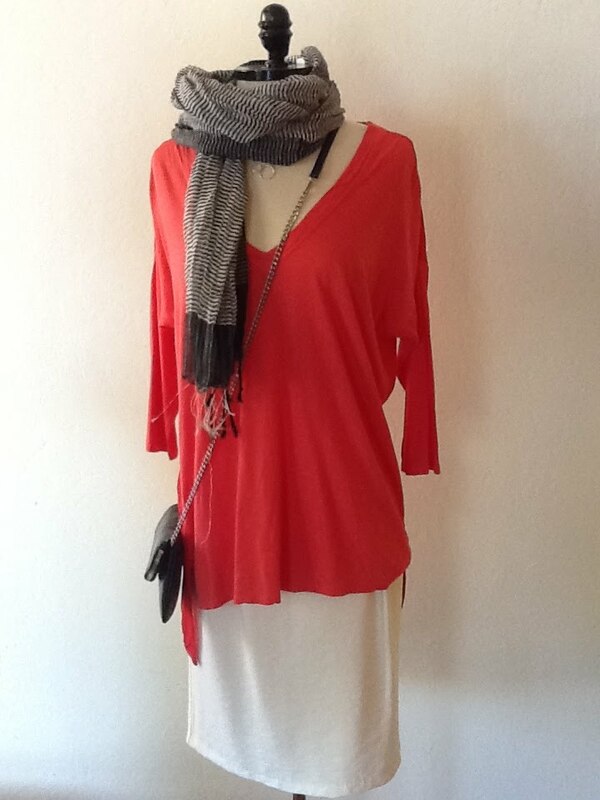 XCVI does the oversized look in a bold coral hue with a plunging neckline. The arms are fitted enough to make the overall proportion neat and feminine. For summer, we like Beatrice's off-white, high-waisted skirt; the look is fresh and modern, don't be afraid to try a bold accessory, like this chainmail crossbody from Hobo.